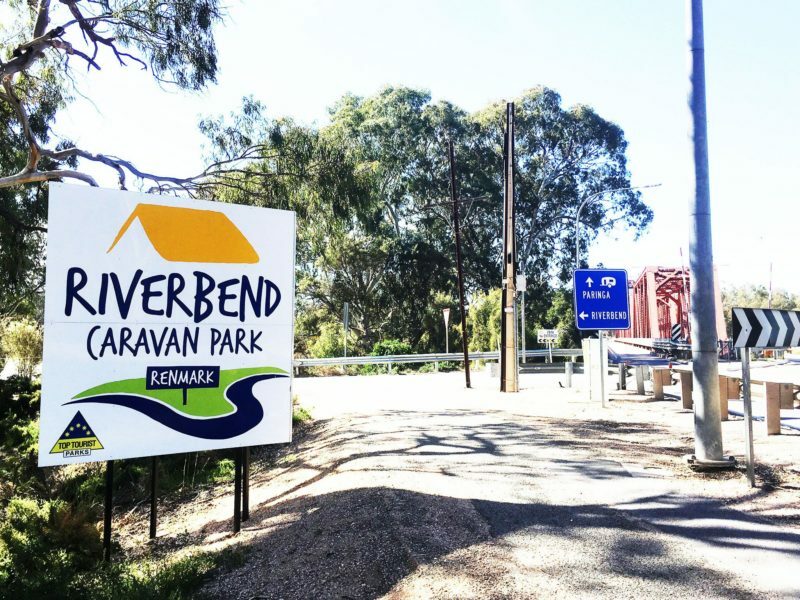 The Riverbend Caravan Park Renmark has something for everyone! From families and friends to groups and couples, for the young of age and the young of heart, we’ve got you covered – right on the riverbend! 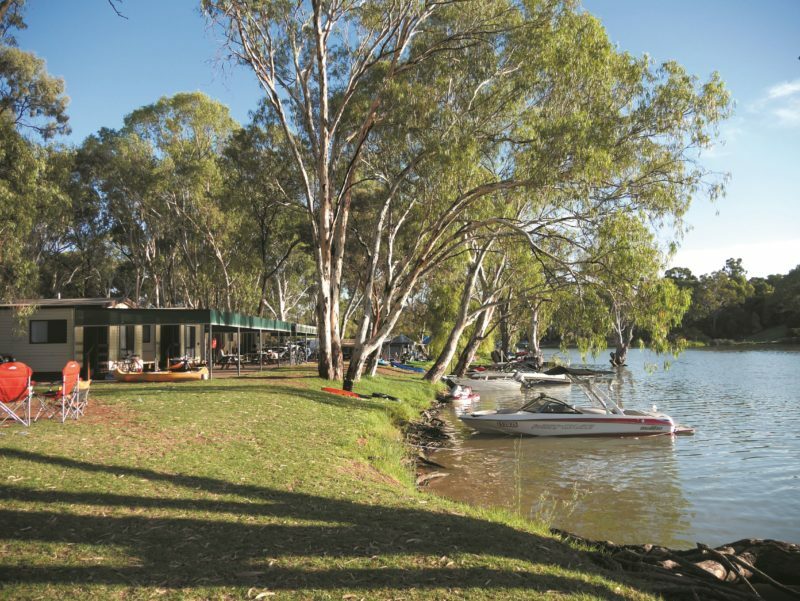 Stay in one of our cabins or campsites with the picturesque Murray River right on your doorstep or in the shaded and scenic surrounds of our park. 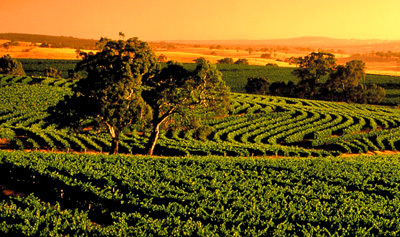 A natural and serene atmosphere provides the ideal location for a relaxing getaway or the opportunity to get out there and enjoy all the adventures the Riverland has to offer! Take advantage of our terrific riverfront location, just sit back, relax and soak in the beautiful surroundings or for the more adventurous, try skiing, fishing, canoeing or kayaking. Enjoy our excellent modern facilities, there’s even a playground and bounce pillow for the kids. For your next holiday, we look forward to seeing you, ‘just around the Riverbend’! Our beautiful Deluxe Riverfront Cabins are fully self-contained and located right on the banks of the magnificent Murray River. These cabins feature 2 bedrooms, sleeping up to 6 with a queen bed in the master bedroom and an outdoor area complete with a dining setting right next to the river. Visit our website to find out more or call us on (08) 8595 5131 and speak to one of our friendly staff. These lovely, fully self-contained cabins are situated with the river, right on your doorstep. With 2 bedrooms sleeping up to 6 people, a double bed in the main bedroom, you have plenty of room to relax and enjoy your stay. Visit our website to find out more or call us on (08) 8595 5131 and speak to one of our friendly staff. 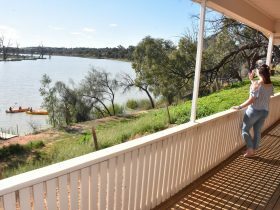 Our Standard Cabins are fully self-contained and situated in natural surrounds just a stone’s throw from the mighty Murray River. 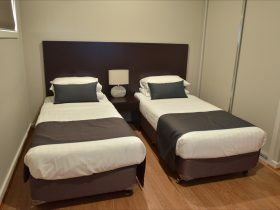 These cabins are available in two different layouts sleeping 4 to 5 people, both feature double beds with a separate room for the remaining beds. Cabins 16 & 17 sleeps 5, Cabin 15 sleeps 4. Visit our website to find out more or call us on (08) 8595 5131 and speak to one of our friendly staff. Located among the parks serene natural surrounds, these Ensuite Cabins have all you need for your next holiday. Fully self-contained, sleeps up to 4 people, featuring a private ensuite, a double bed and a bunk bed in a separate bedroom. Visit our website to find out more or call us on (08) 8595 5131 and speak to one of our friendly staff. 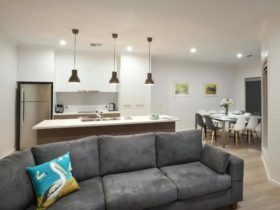 Just metres away from the majestic Murray River, our open plan living Park Cabins come in two layouts with double beds, double bunks and a single bed featured in each. Please note that these cabins do not have a toilet or shower, however our amenities block is a short walk away. With a fully self-contained kitchenette and living space, these cabins make for a great budget friendly getaway. Visit our website to find out more or call us on (08) 8595 5131 and speak to one of our friendly staff. 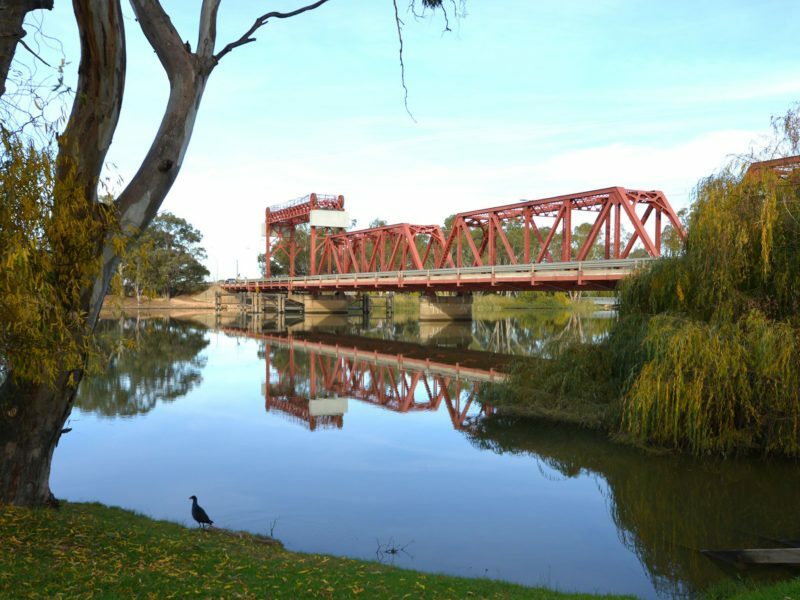 Our Riverfront Powered Sites are situated right on the banks of the beautiful River Murray. 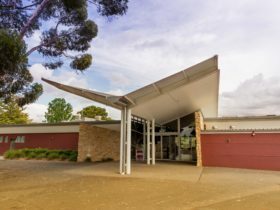 Take advantage of our excellent park facilities including modern amenities block, free camp kitchen and BBQs, plus our laundry. The park also has a dump point for caravans and motor homes. Large sites are available for 5th wheelers on request. Visit our website to find out more or call us on (08) 8595 5131 and speak to one of our friendly staff. Our Powered Sites, situated throughout the relaxing and picturesque surrounds of our park, offer a variety of choice for ground cover from grass, matted to natural. Take advantage of our excellent park facilities including modern amenities block, free camp kitchen and BBQs, plus our laundry. Our Powered Sites can cater for 5th wheelers and some drive through sites are available. The park also has a dump point for caravans and motor homes. Visit our website to find out more or call us on (08) 8595 5131 and speak to one of our friendly staff. 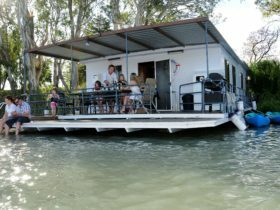 Prices for accommodation range from Powered Sites to 3 bedroom Deluxe Riverfront Cabins.